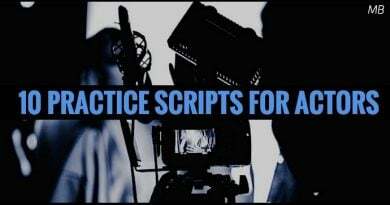 10 practice scripts for actors may be used for auditions, workshops, demo reel videos or scene work in drama class. Develop your own acting projects. MB loves empowering actors/filmmakers and creators alike. We hold thousands of free monologues/scripts you are welcome to use at any given time. We cover a significant range of subject matter, genre and topics including comedy, drama, thriller, scifi, dark humor, slapstick, serio-comedy, gangster, suspense and so much more. In addition, we would also like to direct you over to one hundred more scripted scenes you may find useful. 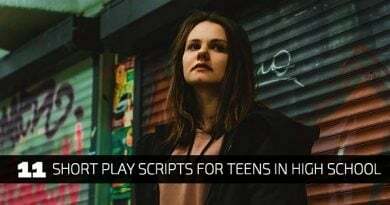 The scripts shared below range from comedy and drama pieces and are great for short film projects, demo reels or online video uploads. BASKET CASE – a comedy sketch with a single mother raising her only daughter. TRUE BLOOD TIES – this is a family scene that takes place between a father (who is locked up in prison) and his daughter who visits him. The scene reveals the difficulty of separation in family, the struggle of family finances and other elements under-riding the subtext of the scene. 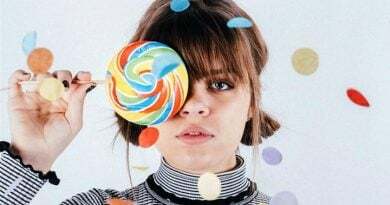 DEAD GIRL – a terrible situation occurs in this comedy when a man calls his best friend for help because the woman he was sleeping with overdosed on drugs. WEIGHT OF LAUGHTER – an interesting look into a man who makes a living “laughing” for films. In this scene he gets interviewed on a radio show. Mid-way through the interview things go ‘off’,only to restore back to normal soon after. Did it really happen or was it in his mind? REAL AGAIN – two teenagers are in love and plan to make their escape. SHRIBBLE – Frank and Valerie have gone vegan and Frank is having the time of his life…so much so that he’s ready to hunt for his own food. ENCOUNTER – a period piece about two people who first meet and have an instant liking for one another. PEAK HEAT HOUR – a father who has been kicked out of his own own from his wife because he hasn’t been keeping up with the bills, pays a visit to see his daughter, only he encounters a situation he never would have imagined. ZERO VISIBILITY – sometimes getting stuck in a jam with a best friend can be way more revealing than expected. HAROLD’S EAR – a comedic scene with a Uncle and his Niece. The niece practices her musical instrument with passion but with horrific results and the Uncle is at his wit’s end listening to it. 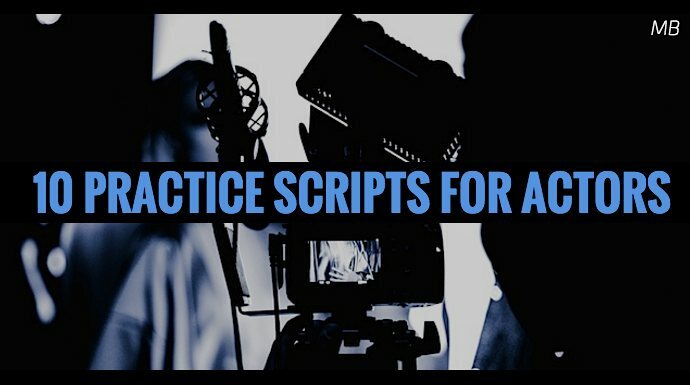 Some of the practice scripts above work well for two or more actors. The running time comes in at around 5-10 minutes depending on your interpretation of the material. This article will really give you the nuts and bolts of how to go about making your own short film on a tiny budget. The content provides 6 steps any actor can take from first idea to completed film. You can take the lessons involved in the 6 steps and apply them to video projects you want to make from MB scripts. If you happen to be looking for useful tips on improving the quality of your video project, have a look at How To Create Better Content for Actors which offers a video sample and pointers on how you can improve your video project without breaking the bank. If you like what Monologue Blogger offers, please do share our resources with your friends. We appreciate you spreading the love. Thanks! 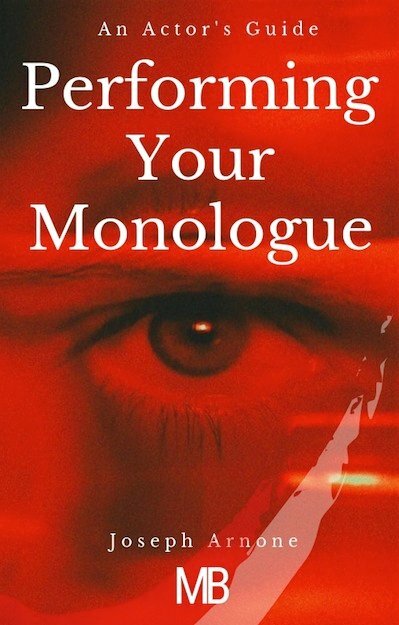 Contemporary Monologues from Published Plays is another good resource for actors in search of monologue material.